It seems no one else wants to start it. About the squad, we have the continuing injuries for Carroll, Sanchez, Yarmolenko, Wilshere and Reid. Those five are not available. 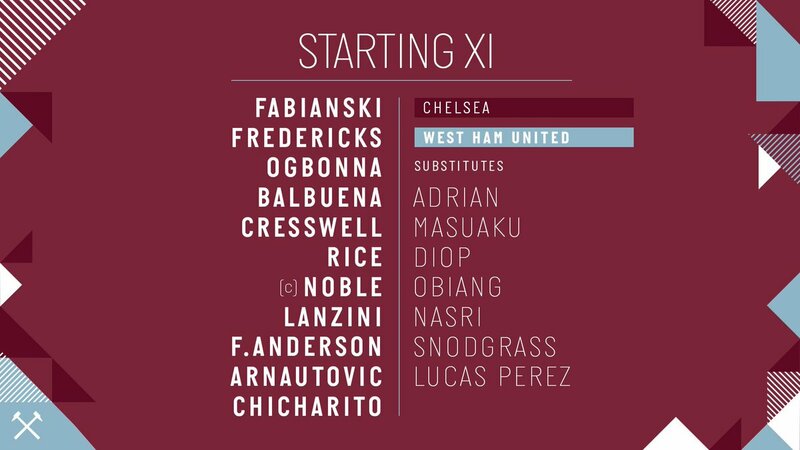 No mention of Fredericks so hopefully he's back too. Chelsea has only lost once at home this season against Leicester in December. Chelsea play Slavia Prague in the Europa League Quarters on Thursday. Hopefully the players are motivated to react to that awful loss last week. It’s a shame most of them will be on the beach between now and the summer. A ray of hope, Lawro has us losing 2-0. This is just the sort of game we win. They’ve only conceded 10 goals at home this season and we’ve only scored 1 this year so maybe this will be one of those games OR we may just get an absolute thrashing. As always with west ham, expect the unexpected, away win. 1-1 for me too, with Arnie scoring early in the 2nd half. After that debacle last week this is the kind of game that we’ll actually put in a decent performance.Think we might nick a draw. Anybody expecting a rout is gonna be mistaken. We may well lose but this will be a much more competitive game than last week. Even the top two, we lost one game 4-0 against each then drew with Liverpool at home and lost 1-0 at the Etihad. The lads will turn up tonight. It’s a derby and the more stylish, luxury players like Anderson and Lanzini will be up for turning it on. We drew there last season, lost 2-1 there the year before, drew 2-2 there the year before that. The inevitable Hope rises again. Anderson has been at his best down the left all season and Lanzini wasn't much cop played wide last time out. 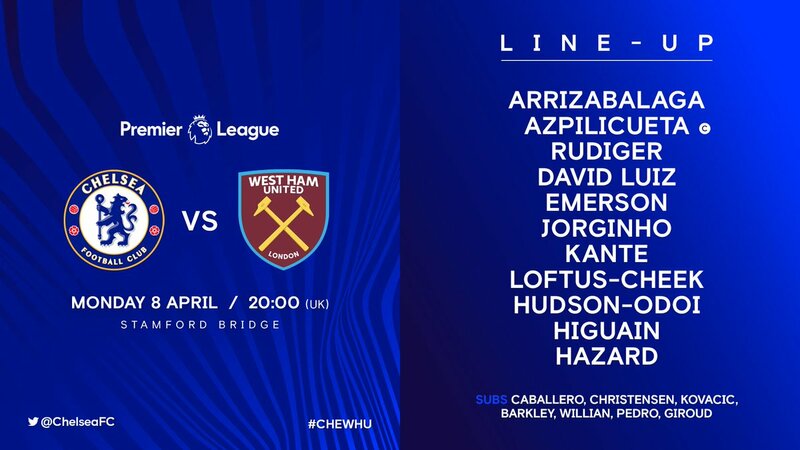 Snoddy - Lanzini- Anderson looks better. I was just weighing up the pros and cons of paying the £9 (I think) to Now TV for the privilege of watching tonight. I had finally come down on the side of pro. "You never know" I had convinced my self. Are we all mad. Any improvement from the last debacle. I think not conceding in the first 10 minutes would be a good start for me. Swear he hasn't started a game for ages? "It's rave on for Chelsea today, having not been defeated at home in the Premier League on a Monday since December 1994."